Ever wondered what is was like when Jesus lived? Do you want to follow along His journey? 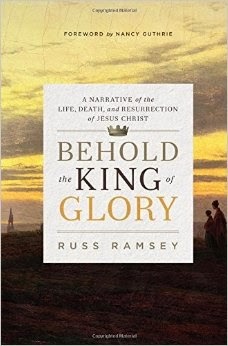 Russ Ramsey takes you there with "Behold the King of Glory". 40 Chapters that really help the reader understand and feel Jesus' life and times. This can be used as a type of devotional but it doesn't read as a devotional, a great historical retelling to read anytime and for the future it can also be used for Lent. This book is for everyone, non-believing and believers of Christ. Its historical and moving. You will want to continue on the journey. $10 GIFT CERTIFICATE TO FAMILY CHRISTIAN - Enter below! Thank you to Family Christian for the opportunity to review "Behold the King of Glory".